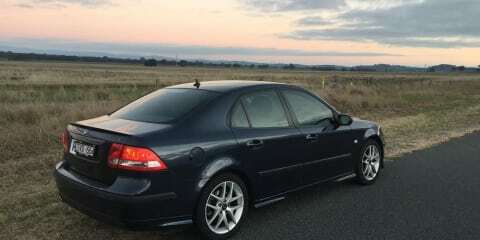 The first time I sat in Saab 9-3 was roughly in 2004 at the age of 8 as my parents was looking for a smaller car to replace our Commodore at the time. Unfortunately they were looking at a used TS Astra while an 8 year old me had his eyes set on high aspirations. As I sat in the 9-3 I remember being overwhelmed by all the buttons, screens and overall the technology. My taste for something european has stuck with me, over the years my dream cars have changed with time. For kid I keep things within reach looking at E46 BMW’s and Audi A4’s etc… When Saab suffered it’s downfall under GM that being sold and then going bankrupt under Spyker leadership. It reignited my interest in Saab as a brand. Now two cars (Saab’s) later and I have purchased a 2004 9-3 Aero SportSedan. 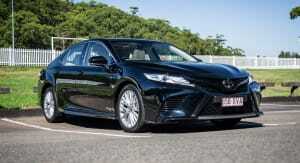 Mine has the 2.0T engine (high-preassure turbo) mated with the 5-speed sentronic automatic gearbox. The engine and turbo are impressive and regular put a smile on my face, it has the smooth and punchy power Saab is known for. 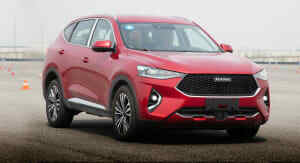 The 5-speed sentronic is impressive also and well mated to the power provided by the turbo. With the sentronic you get paddle shifters on the steering wheel plus a manual gate. But most of the time I let the computer do the gear changing, its just better at it then me. Compared to its competitors back in 2004 which included the BMW 325i, Audi A4 and Volvo S60. 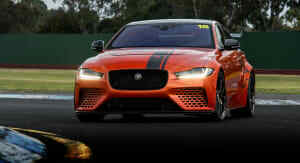 The 9-3 has an offical 0-100km/h of 7.5 and 8.5 for the manual and automatic respectively. Which beats them all, in the real world I believe these figures to be conservative with 0-100 in the 7.5-8 defiantly possible for the automatic. These figures can be improved even further with aftermarket tunes by MapTun, Hirsch and BSR all offering performance increases from the stock 155kW’s up to 190kW’s with only software and also offers increased fuel economy. On that note fuel economy could certainly be improved. Currently I’m achieving 9.5L/100km, coupled with a 58 litre tank this means you’ll be filling up regularly at the pump. A minimum of 91 RON is required but for the best economy and performance 95 RON is preferred. 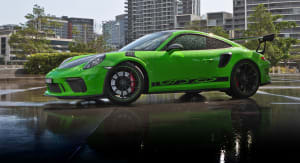 The lower (10mm) suspension and retuned springs and dampers provide a firm but comfortable ride on 17″ Alloys. These alloys certainly look the part and show off the larger 312mm brakes on the Aero. Which address the lack of feel in previous 9-3’s, now you can feel confident in the brakes. As a P-plater I’ve had the chance to test this in a near miss. 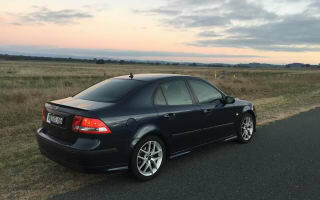 Safety is one of Saab’s primary principals and this 9-3 is no exception, it has dynamic stability control, cornering brake control (maintains stability if the brakes are applied hard in mid-corner), traction control and the usual ABS system incorporating brake assist and electronic brakeforce distribution. Standard Bi-Xenon’s (from 2004) also help to light the road ahead well and provide an attractive blue appearance. Rear parking sensors were also as standard (from 2004) to help in awkward situations like parallel parking. So what else do you get with an Aero over say the Linear and Vector trims? Well other then a beefier turbo, more aggressive camshaft, different higher performance pistons and rings, and larger fuel injectors and exhaust. In terms of features, a body kit consisting of a front and rear spoilers, side skirts and rear lip spoiler provide a subdued sporty look. In terms of cabin comfort the Aero gains everything a 9-3 has to offer. Two-tone sport seats and aluminium trim really set off the interior. Three setting heated seat are especially nice on early mornings, combine that with the convince of power-memory seats and mirrors then you get to know the what pleasure of owning a Saab is. 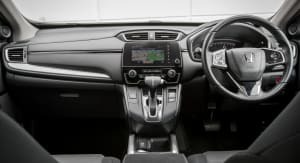 The Aero also gains a CD stacker and a 300W 13 Speaker sound system by Pioneer which provide excellent sound which is a worthy upgrade over the Linear’s 4 speaker system. An AUX cord is an option. In terms of design it is fairly practical and this generation they gave through to cupholders with two in the front and two in the rear. There is also plant of space in the refrigerated glovebox and cubby holes in each door which are fabric covered to prevent rattles. The dash however can be considered cluttered by todays standards but overall it’s intuitive and well laid out. In terms of space rear passengers can suffer with leg room depending on the height of the front passenger or driver. In model’s with sunroofs (2004 onwards) head room can be restrictive for those in the front due to the lowered roof. Boot space is adequate and the seats have a 60/40 split that can be folded down from the boot. There is also a ski pass as well. A criticism of the interior is build quality with rattles and squeaks developing over time. Worse is the fact that rubberised interior parts have a tendency to peal. All four of my interior grab handles will need to be replaced as they’ve become unsightly. There is a solution which are leather replacements however these are expensive and hard to source. That leads me to the next obvious question. If Saab is no longer around where do I get parts from? Well a common misconception it that parts are no longer made. During bankruptcy the parts division of Saab was separated, Now know as Orio AB. They’ve been producing parts for the past two years and these can be ordered through most former dealers with which there is one in almost every capital city. The cost of parts and servicing isn’t astronomical either, for example the combined cost of a brand new thermostat and coolant temp sensor came to $120. If your even handier then wording parts from wreckers of which there are Saab specific in Australia is easy as well as online. Servicing isn’t terribly costly either, its best to find an independent who knows their stuff. Intervals are 10,000-15,000km’s apart or 1 year. Overall the 9-3 is a good value option for those looking at a used compact executive sedan. Compared to competitors of the same age you get more power and spec for less. Insurance and running costs should also be cheaper as well. The 9-3 is defiantly an underdog that stands out from the crowed sticking in my mind since I was a child.